The Nettakallappa Center for Sports (NCS) -- a multi-sports facility -- was inaugurated here on Saturday. The facility, located at the Deccan International School (DIS) premises in South Bengaluru, houses a basketball court, football grounds that can accommodate 5-a-side and 7-a-side teams, cricket nets and a separate ground for athletic events. Each sporting discipline will be helmed by a qualified coach, who will conduct various programmes to train the students. "We realised how important physical activity is. You can't learn sport through a book. You can't teach cricket through an app. We wanted children to get out of their rooms, away from their gadgets," said DIS principal Anuradha Anekal. "We plan to offer summer camps and well-organised programmes for coaching," she added. Anuradha also said the eventual aim of the establishment will be to register as a club and participate in State and district-level competitions. NCS will conduct their summer camp in three batches. The first will be held from April 1 to 22, the second from April 23 to May 13 and the third one from May 14 to June 3. Biju Nair, sports coordinator at DIS said, "Right now we will conduct a summer camp which will be an exclusive programme for students. We are looking at the grassroots level. The students will get freehand when they come for the camp." Former Indian athlete-turned-coach Bindu Rani feels such a facility will be great to the people of her area. 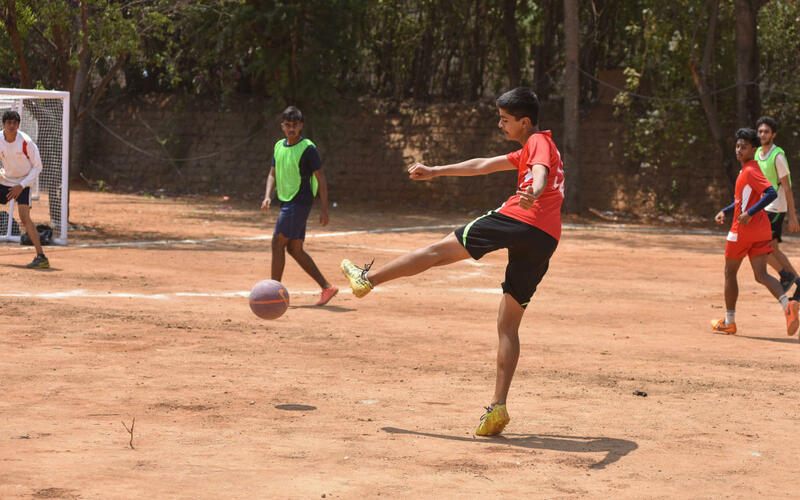 "In South Bengaluru, we hardly have any sporting facilities. It is a blessing for the kids living in this area. We don't have a lot of tracks for athletics. Here we have a 200m track. It is perfect for training purpose. They have all the modern equipment here," Bindu said. Meanwhile, NCS is also planning to offer training in triathlon from June. The facility will also be open to the public.